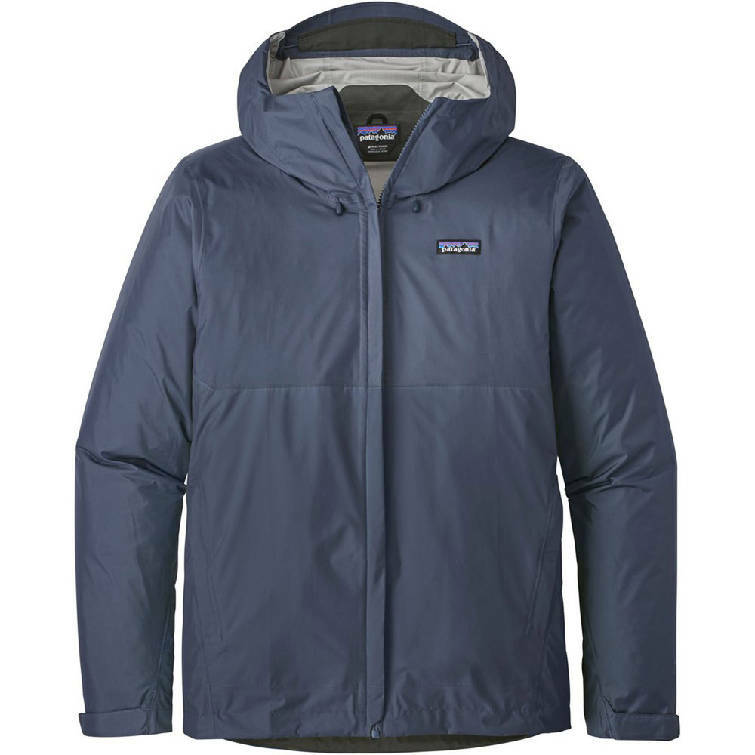 Men's Patagonia Torrentshell in "Dolomite Blue," made of 100% recycled materials. With Earth Day approaching later in April, our team at Rock/Creek is thinking about ways to incorporate more eco-friendly practices into both our business and our individual lives. Which is why we were so thrilled when Patagonia announced that from now on, its rainwear line will be made out of 100% recycled materials. I've had my Torrentshell for a little over a year now and it still looks good as new. And that's really saying something considering Tennessee's record rainfall this year has had me using — and abusing — it constantly. It's the perfect "everyday" rain shell: lightweight enough to stuff easily into a backpack, but sturdy enough to withstand a heavy shower. Sadly, my Torrentshell predates the recycled version, but I love it nonetheless. 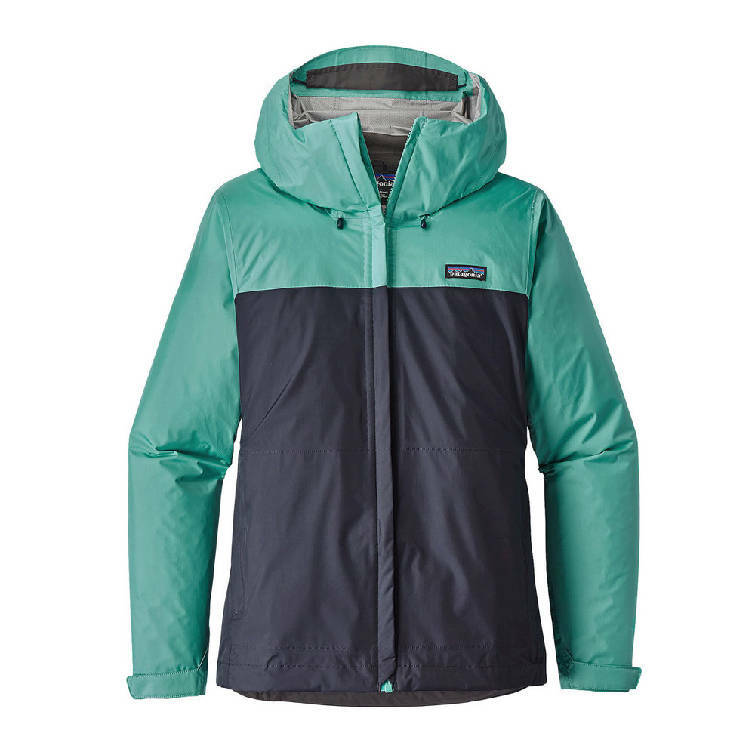 Women's Patagonia Torrentshell in "Navy Blue Strait Blue," made of 100% recycled materials. Like I mentioned, the face fabric of the Torrentshell is now 100% recycled rip-stop nylon. So not only is it tough, it's also not negatively impacting the environment. 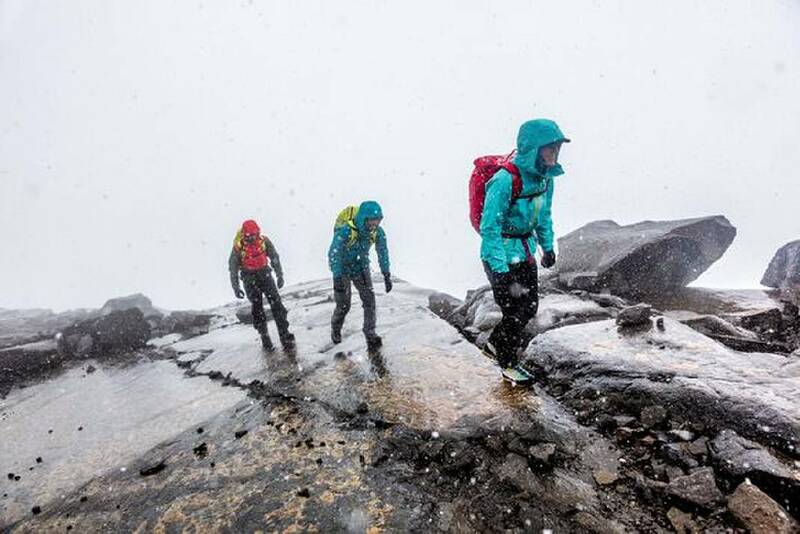 And that eco-friendliness doesn't hinder its ability to keep you dry; the fabric still features Patagonia's proprietary "H2No" waterproofing that keeps out all water. I know this is a pretty standard feature, but if you've ever had a rain jacket without zippered armpits, then you understand their value. These underarm zippers create much-needed ventilation and prevent wetting out when the weather is warm or overly humid which, let's face it, are staples of summer in the Southeast. Have you ever had a rain jacket for just a couple of years and the inside begins to rapidly peel and crumble? That's caused by your skin's oils breaking down the lamination, and it usually begins from the base of your neck. To combat that, the Torrentshell features a little swatch of soft microfleece fabric at the back of the neck where the tag is. That little piece of cloth protects the jacket from your skin's oils and keeps it from peeling, adding years to the jacket's lifespan. Unlike some other basic rain jackets, the Torrentshell's pockets are fully lined on the inside, as opposed to being enclosed with mesh. That means they'll keep your hands warmer, and that you don't have to worry about your keys or other sharp objects tearing holes in the mesh. The jacket also stuffs fully into the left pocket, which has a carabiner loop for easily attaching it to the outside of your pack. Personally I've never actually used this feature, but it's nice to know that I could. All in all, this is a stellar everyday rain jacket that will keep you dry whether you're out for a hike, at your kid's football game or running errands on a rainy Saturday. Be sure to check out the new recycled Torrentshell at Rock/Creek this spring. Check out other products available at Rock/Creek here.